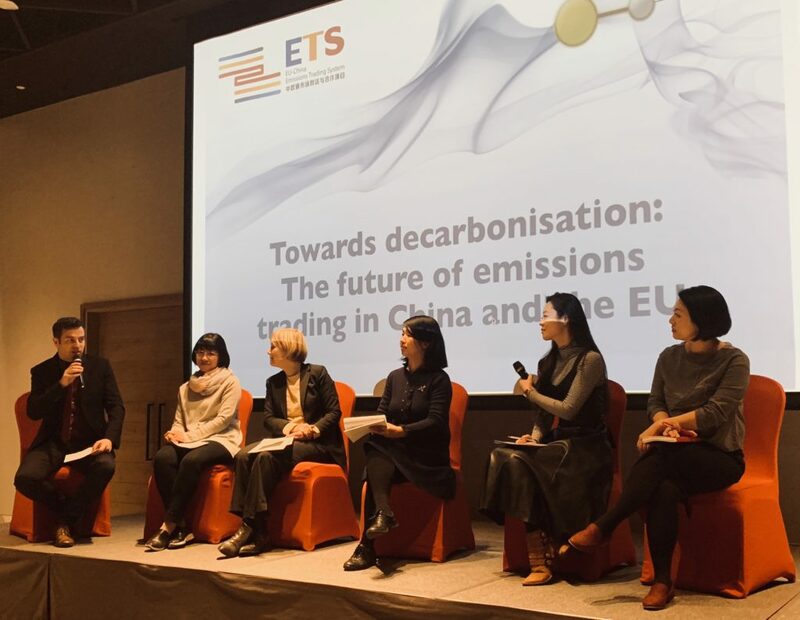 On November 15, 2018, China Carbon Forum, together with the EU-China ETS Platform, co-organised an event titled “Towards decarbonisation: The future of emissions trading in China and the EU”. The event featured opening remarks by Mr Jiang Zhaoli, Deputy Director General, Department of Climate Change, Ministry of Ecology and Environment, followed by a keynote address from Ms Vicky Pollard, Environment and Climate Counsellor, EU Delegation to China. Ms Pollard then joined a distinguished expert panel to share insights on the future of emissions trading in China and the EU, including Ms Zhang Jingjie, Director, Department of Industry Planning, Environment and Resources, China Electricity Council; Ms Liu Shuang, Program Director, Low Carbon Economic Growth, Energy Foundation China; Ms Li Jin, Assistant President, Shanghai Environment and Energy Exchange; and Ms Zhao Xiaolu, Program Manager of Climate Change and Carbon Pricing Program, Beijing Representative Office of Environmental Defense Fund. The panel was moderated by Mr Huw Slater of China Carbon Forum. A record of the discussion will be available soon for downloaded. 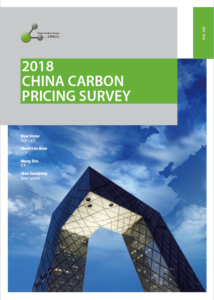 On April 24th, 2018, the China Carbon Forum together with the Commonwealth Scientific and Industrial Research Organisation (CSIRO), co-organised an event titled “Advancing Greenhouse Gas Emissions Estimations and Reporting in China and the World”. 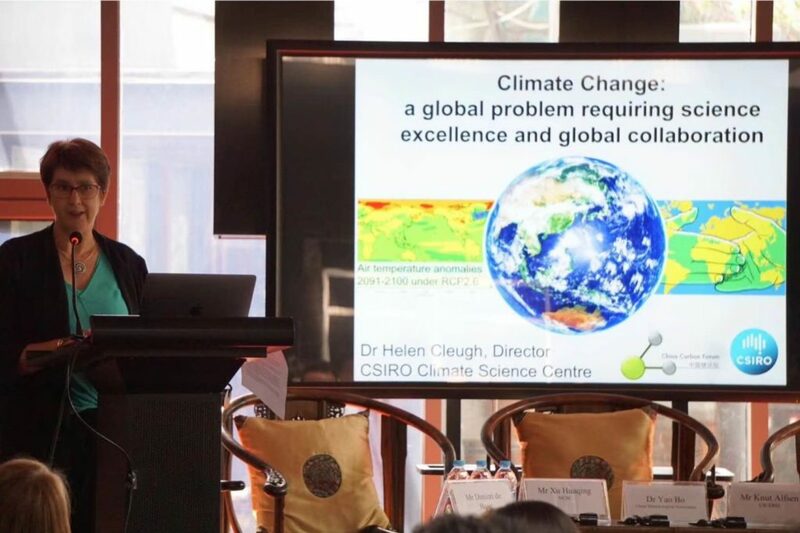 The event featured welcome remarks by Ms Jan Adams, Australian Ambassador to China and Mr Xu Huaqing, Director of the National Center for Climate Change Strategy and International Cooperation, followed by a keynote address from Dr Helen Cleugh, Research Director of the Climate Science Centre at CSIRO. Mr Xu and Dr Cleugh then joined a distinguished expert panel to share insights on the challenges and opportunities in applying ‘top down’ approaches to improve GHG estimation and reporting in China and internationally, including Dr Yao Bo, Chief Scientist for Greenhouse Gas Measurement at the Chinese Meteorological Association and Mr Knut Alfsen, Special Advisor to CCICED and a Senior Researcher at CICERO. 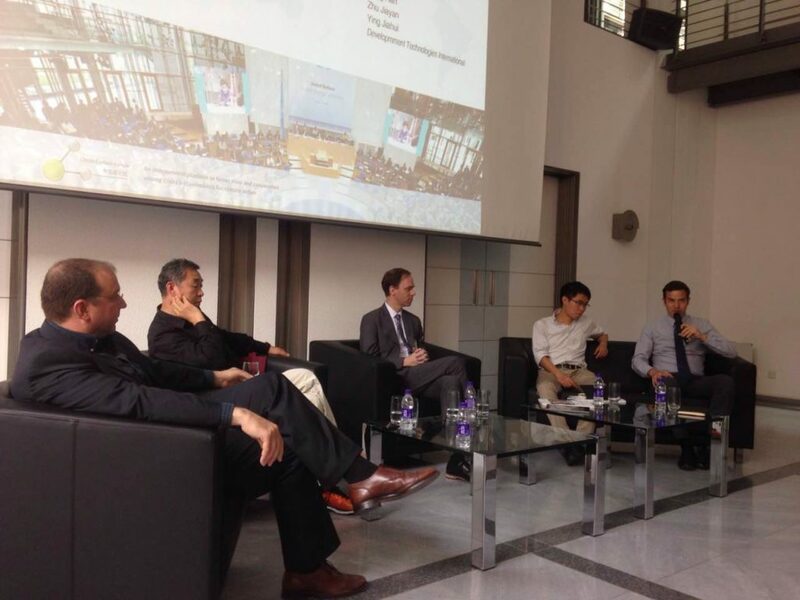 The panel was moderated by Mr Dimitri de Boer, Vice Chairman of China Carbon Forum. For a record of the discussion, download here. 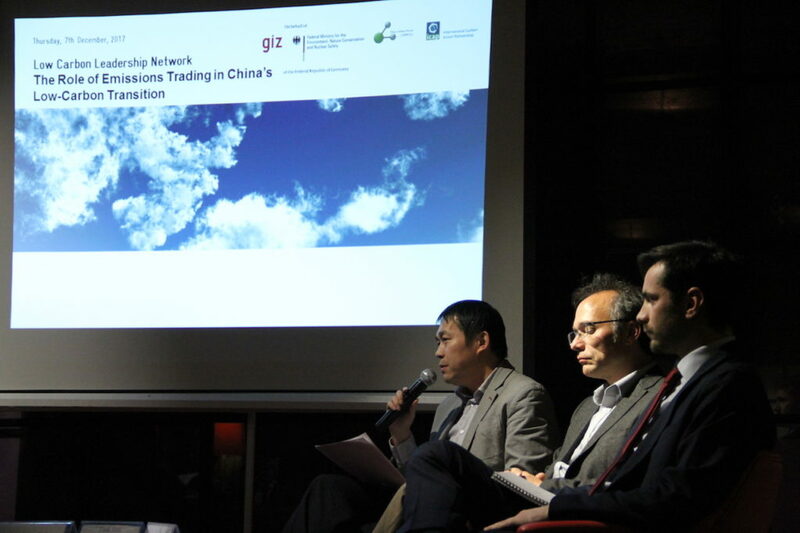 On March 8th, 2018, Deutsche Gesellschaft für Internationale Zusammenarbeit (GIZ) GmbH, together with China Carbon Forum, co-organised an event titled “Coal in face of the energy revolution – building consensus for the decarbonisation of the power sector”. The event was the 28th event in the China Low Carbon Leadership Network (LCLN) event series, jointly organised by GIZ and CCF since 2010. 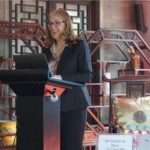 The event featured a welcome address by Ms Sandra Retzer, Head of Sustainable Urbanisation, Transportation and Energy at GIZ China, followed by a keynote address from Mr Frank Peter, Deputy Executive Director at Agora Energiewende. Mr Peter then joined a distinguished expert panel to discuss the role of coal during the energy transition for both German and China, including Dr Gao Hu from the Center for Energy Economy and Strategy Development, Energy Research Institute, Ms Lena Hansen, Managing Director at Rocky Mountain Institute, and Mr Lauri Myllyvirta, Energy Analyst at Greenpeace East Asia. The panel was moderated by Mr Robert Earley, Board Member, China Carbon Forum. A full record of former Low Carbon Leadership Network Events can be found on the LCLN website. On December 7th, 2017, China Carbon Forum, together with Deutsche Gesellschaft für Internationale Zusammenarbeit (GIZ) GmbH and the International Carbon Action Partnership (ICAP), co-organised an event titled “The Role of Emissions Trading in China’s Low-Carbon Transition”. The event was the 27th event in the China Low Carbon Leadership Network (LCLN) event series, jointly organized by CCF and GIZ since 2010. The event featured a keynote address from Mr William Acworth, ICAP, followed by a distinguished expert panel which discussed the role of ETS in China’s low-carbon transition, including Dr Felix Matthes, Öko-Institut, Dr Teng Fei, Tsinghua University, Mr Stefano De Clara, International Emissions Trading Association and Dr Frank Jotzo, Australian National University, moderated by Ms Li Lina, ICAP. 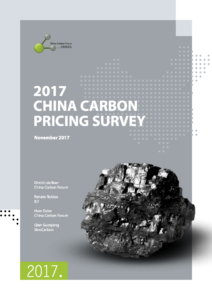 The 2017 China Carbon Pricing Survey report was launched on the morning of Wednesday, 22nd November, at the Dutch Embassy in Beijing. 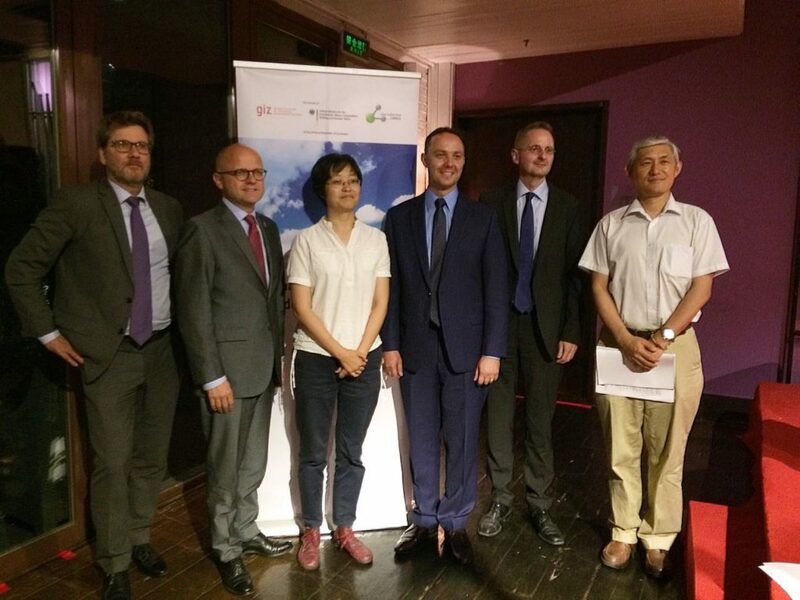 On June 29th, China Carbon Forum launched the report ‘Mapping China’s Climate Policies’ at the Embassy of the Federal Republic of Germany, Beijing. 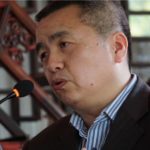 At the report launch, the lead author of the report and a panel of experts discussed China’s emerging leadership in global climate change efforts and the challenges China faces at home in implementing its own domestic climate change policies. The panel included Dr. Craig Hart, Johns Hopkins University; Dr. Li Junfeng, Director General, National Center for Climate Change Strategy and International Cooperation; Mr. Anders Hove, Associate Director, Research, The Paulson Institute China Office; and, Mr. Li Shuo, Senior Global Policy Advisor, Greenpeace East Asia. 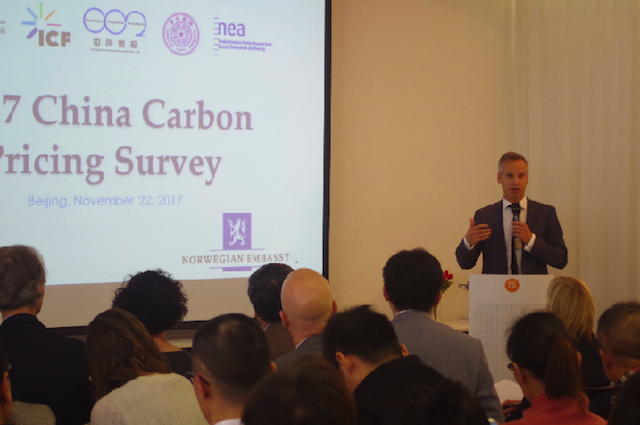 On June 26th, 2017, China Carbon Forum, together with GIZ and the Royal Norwegian Embassy in Beijing, co-organised an event, “Mitigating transport emissions: European and Chinese perspectives”. 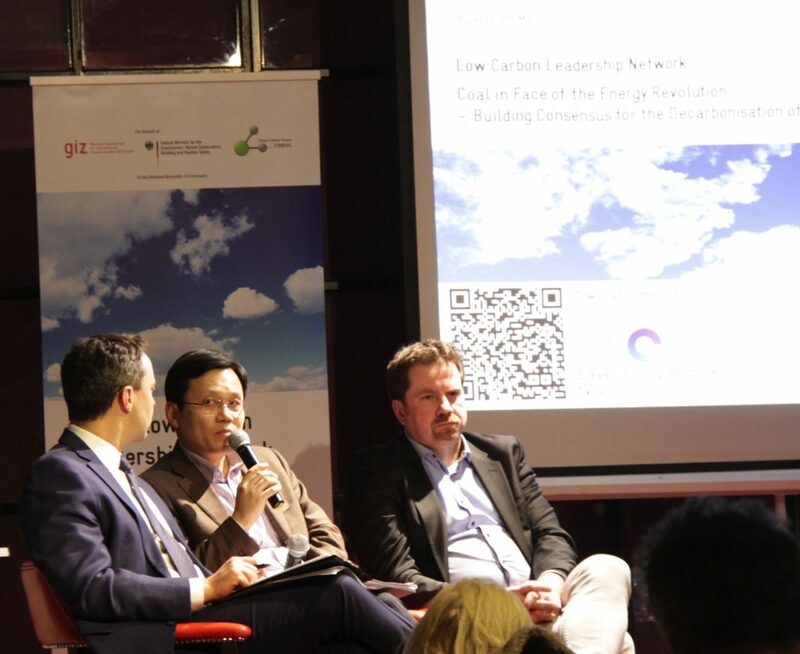 The event was part of the China Low Carbon Leadership Network (LCLN), an event series jointly organized by CCF and GIZ since 2010. The event featured opening remarks from Mr. Vidar Helgesen, The Royal Norwegian Minister for Climate and Environment, and a presentation on ‘Decarbonization of Transport in Germany’ by Mr. Martin Schmied, Head of Department, Transport, Noise and Spatial Development, German Environment Agency. 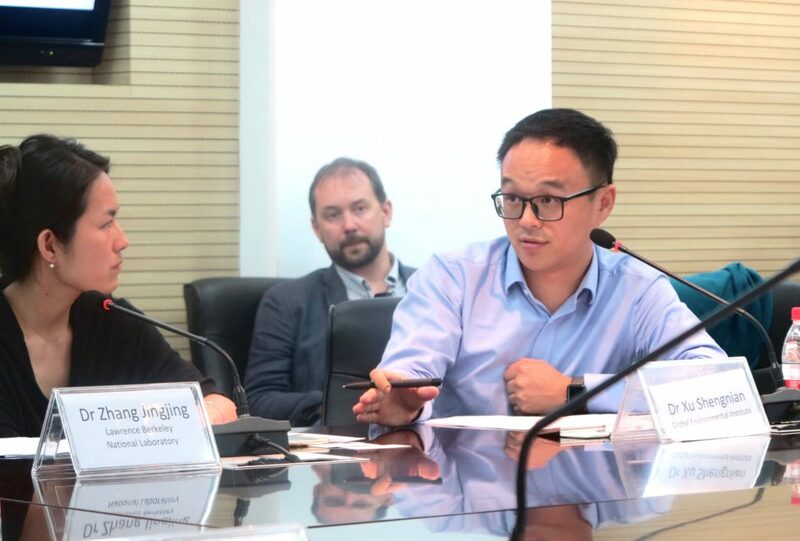 The two speakers were then joined by an expert panel, including Dr. Jiang Kejun, Director, Energy Research Institute (ERI) and Dr. Yin Zhifang from the China Urban Sustainable Transport Research Center, Ministry of Transport. The panel discussion was moderated by Mr. Robert Earley, COO, MotionEco. 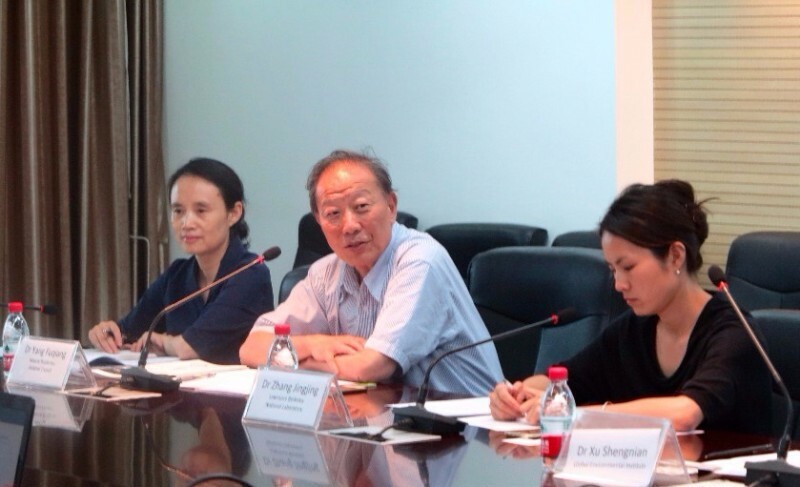 On June 15th, 2017, China Carbon Forum brought together an expert panel for a discussion on “The Future of China-U.S. Energy Cooperation”, at Peking University Law School in Beijing. Cooperation on energy and low-carbon development have been a positive aspect to the bilateral relationship in recent years, and was important element contributing momentum to the successful conclusion of the Paris Agreement. This meeting came at a time of uncertainty given the recent announcement of the U.S. government’s intention to withdraw from the Paris Agreement. Despite this, there is widespread scope for China-U.S. energy cooperation both short-term and long-term, particularly in the areas of transport, research, real estate, emissions reduction and financing. The role of NGOs, private enterprises, cities and states were highlighted as a means to facilitating meaningful change, as well as the exchange of knowledge and technology. 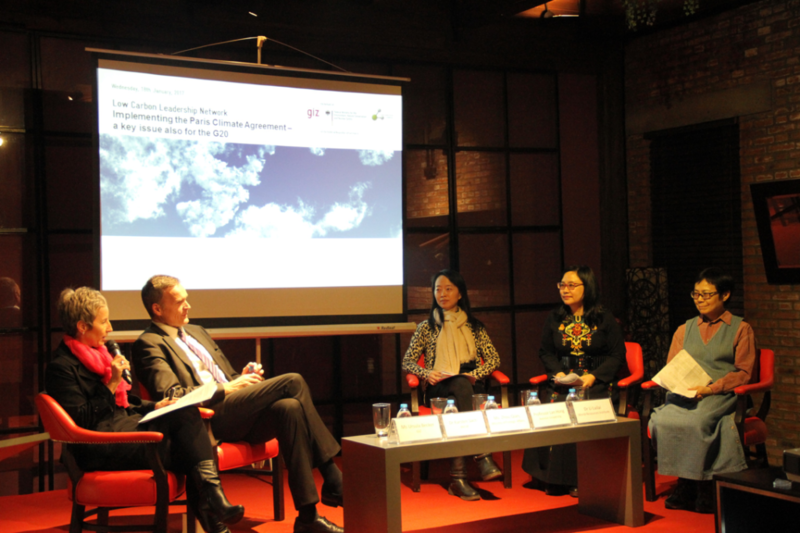 On January 18th, 2017, China Carbon Forum together with Deutsche Gesellschaft für Internationale Zusammenarbeit GmbH (GIZ), co-organised a panel discussion: “Implementing the Paris Climate Agreement – a key issue also for the G20”, as part of the China Low Carbon Leadership Network (LCLN) event series. The event featured a panel of distinguished experts and government representatives who shared their views on the role that the G20 can play in supporting implementation of the Paris Agreement. 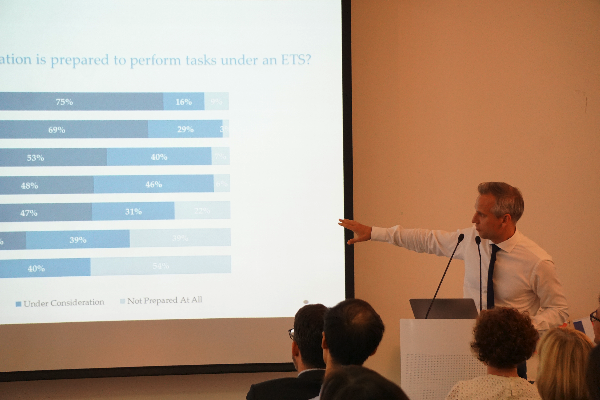 In particular, the panel discussed the role of the newly established G20 Energy Sustainability Working Group (ESWG), and the key issues that it will consider. 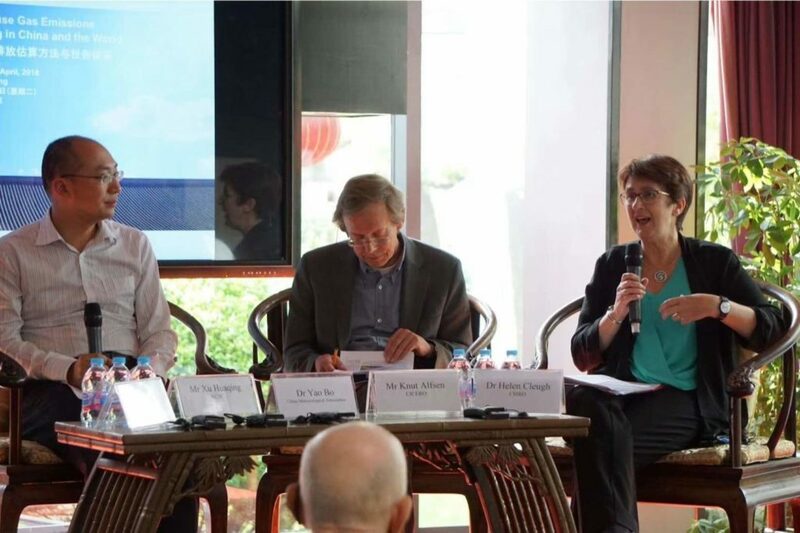 The panel included representatives from both China and Germany, and the audience gained insights from the governmental, think tank and academic perspective. For a record of the discussion, download the PDF: Implementing the Paris Climate Agreement – a key issue also for the G20.